Amazon Prime Day 2017 Best Sellers: Get Ready for 2018! Prime Day 2018 is coming up soon! Amazon Prime members will enjoy over 24 hours of special deals and sales, exclusive to members, starting late in the day on July 16 and continuing through July 17. It's not too late to sign up and become an Amazon Prime member, which not only gives you access to Prime Day, but other great deals like free shipping and rewards for no-rush shipping, access to free streaming shows and movies via Prime Video, photo storage via Prime Photos, extra discounts at Whole Foods Markets, Prime Wardrobe, and much more. Sign up for Amazon Prime. For Prime Day, we usually check the items on our wish list to see if anything comes up on offer. We will also keep an eye on certain store categories in case something we can use comes up. 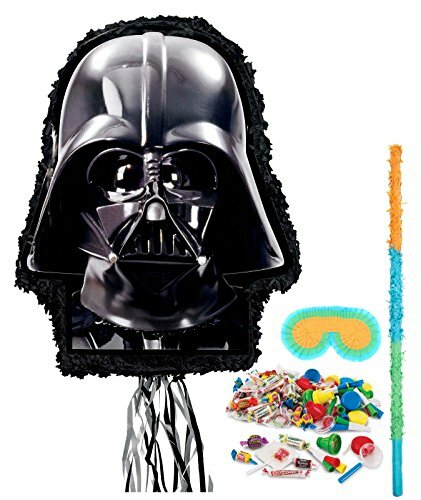 Last year here at TheForceGifts.com, costumes were king for Prime Day shoppers. Here is a list of our top five best-sellers for Prime Day last year. Costumes were a popular choice on Prime Day! It's never too early to think about dressing up for Halloween. This is a full-face mask of the dark lord Darth Sidious / Emperor Palpatine. Fits most adults or kids. Wear this with a long black robe and you'll be ready for Halloween or your next Star Wars costume parting or viewing party. This is a full wig in the style of Princess Leia from A New Hope. The dark synthetic hair is parted in the middle and divided into two side-buns. Wear this with a white gown for an easy Halloween look. This is a full costume in the outlandish style of Queen Amidala from Episode 1. You'll get a the iconic red gown and the matching headpiece. Add in your own white makeup with red details to complete the look. This is a cute Star Wars costume for toddlers! The romper is a one-piece suit in the style of a Jedi Master -- specifically, Anakin Skywalker. The polyester printed costume has snap closure at the legs for easy donning and doffing. Our top-five rounds out with another easy costume piece. This is a costume t-shirt printed in the style of an X-Wing pilot, like Luke Skywalker. Pair this shirt with orange pants and a helmet for a complete look.